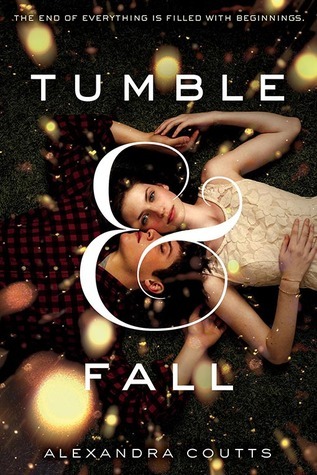 This week's teaser comes from Tumble & Fall by Alexandra Coutts. I've been dying to read this one since I saw the cover for the first time. Plus that plot? As you can imagine, I had to start reading it immediately. And it's really good, in a quietly dire sort of way. The book's about the lives of a group of kids and how they spend what may be their final days on earth. This is a quote from the president during a speech over the radio. If you ask me, I wouldn't feel too confident after hearing this speech. I seriously thought this was a contemporary novel, but wow... this sounds suspenseful. If I heard the president say this during his speech... yeah, I'd go out and eat just about everything I've been dying to eat. Bring in the lobster! I loved this cover too and grabbed it from NetGalley. Haven't started it yet, but you certainly have gotten me intrigued now, will have to bump it up my list. Thanks for sharing. This is a great cover! I think I have it on NG?? I must check. Something is familiar about it?? Gosh how to spend the last days , hours you have on earth?? ?